You’ve made it this far and you have the war wounds to prove it. Now, if only you could find an accountant who understands that your business is more than just a business …it’s you! With Noone Casey our steadfast commitment to long-term relationships means you always get the best business advice tailored to your unique situation. While you might feel that your business accounting problems are unique, chances are we’ve seen them before. We understand the financial ins and outs of established business and have industry experience that will help guide you on the path to financial success. 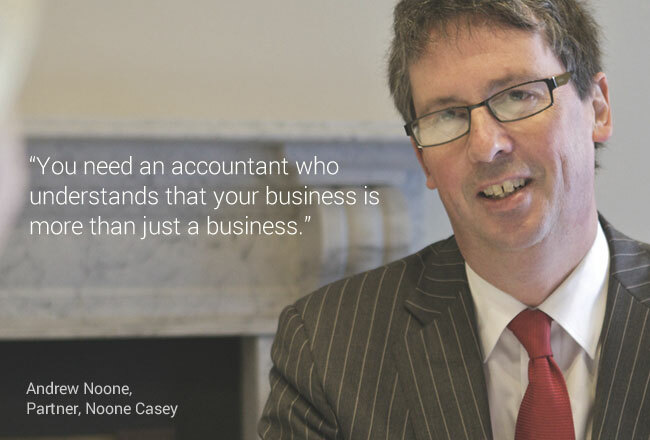 If you aren’t satisfied with your existing accounting services, or need a level of experience and understanding that Noone Casey can provide, it’s time we talked! After all, you deserve to have someone on your side whose excellence and reputation can be counted on no matter the circumstances – personal or professional.